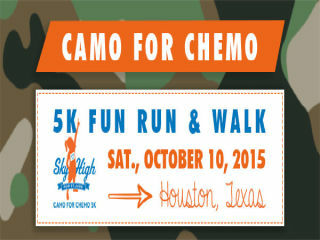 Sky High for St. Jude is hosting a new event, Camo for Chemo 5K. All proceeds raised from the event will benefit families and patients of St. Jude Children’s Research Hospital. Sky High for St. Jude raises funds specifically for the Ronald McDonald House of Memphis and the Eric Trump Foundation Surgery and ICU Center at St. Jude Children’s Research Hospital.